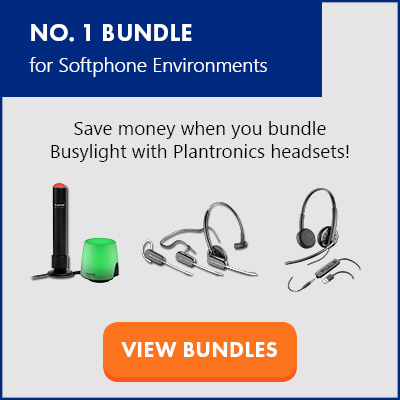 'Tis the Season to Get One Plantronics Wireless Headset Free! Busylight in the news: “New Technology to Fight the Tyranny of the Open Office Plan"
Come Meet Us at Microsoft Ignite! We're proud to achieve our Microsoft Partner Gold Communications Competency. Questions? Click here to ask the experts. The Kuando Busylight was first developed by Plenom in 2003 as a headset indicator to combat frustration workers experienced not knowing when their colleagues were engaged on the phone or available. Busylights continue to provide a solution to keep workflow high and interruptions low, and bring the concept of presence from the digital world into the physical workplace. Increases productivity: Presence indicator lights make the office more efficient by indicating when you are available or shouldn’t be interrupted. Improves employee satisfaction: Users have more control over their workflow and availability. Boosts user adoption and user satisfaction of Microsoft Lync/Skype for Business: By mirroring the presence of the Lync client, Busylight has been shown to ease the transition from PBX and improve users’ willingness and ability to comfortably integrate Lync into their workflow. Never miss a Lync call or IM again: A built-in ringer and flasher alerts users to soft-phone calls, and busy-on-busy suppression forwards calls to voicemail when phone is engaged. No strings attached. Offer ends June 30, 2019. Kuando Busylight UC for Skype for Business, Cisco Jabber and more. Comes with magnetic base. Never miss a call. The Kuando Busylight Omega UC rings/flashes when you receive an incoming call. Kuando Busylight UC for Microsoft Skype for Business, Cisco Jabber and more. Comes with magnetic base. Never miss a call. The Kuando Busylight Alpha UC rings/flashes when you receive an incoming call. KuandoBOX connects PBX desk phones with Lync/SfB via USB and updates presence when on a PBX call. KuandoBOX unifies presence in hybrid environments with PBX and Lync/SfB.